The “Kitakyushu Toll Road” is a bypass of National Highway Route 3, Japan. 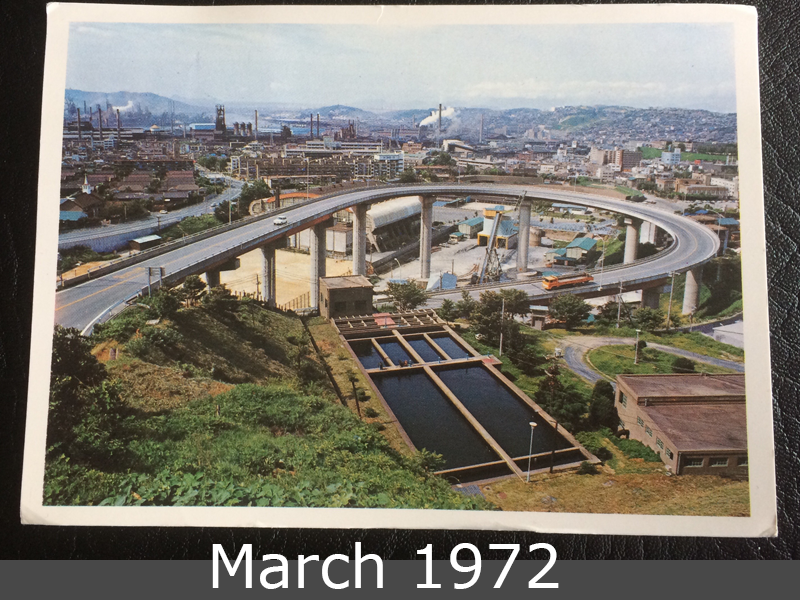 It’s a section from Otani, Yawata to Murasaki Gawa, Kokura which was completed on 5th July, 1971. 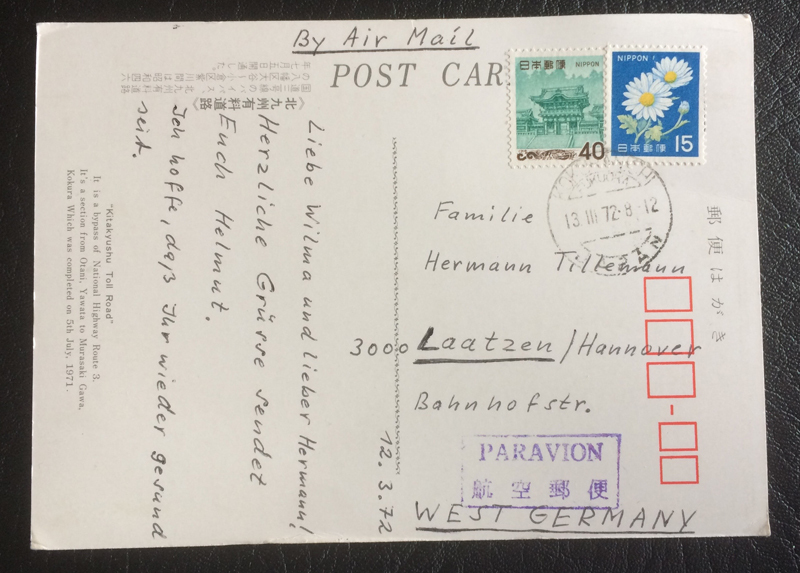 This postcard goes to Laatzen near Hannover, Germany, from Kokura.